My name is Nelly Cheboi. I am the co-founder of techlitafrica.org, an organization that fosters a more technologically literate Africa by building computer labs in African schools. I was raised in Mogotio, Kenya, in abject poverty. At nine years old, I collected wild vegetables on my way from school to cook for my younger sister. The only way I knew out was by studying. So I studied. I studied hard. And I ended with a full-ride scholarship to Augustana College, IL. I was majoring in Chemistry before I discovered computer science my junior year of college. I loved it. With only three semesters left, I decided get a degree in it. I also built a school with the aim of fostering digital literacy. I doubled down on my work-study program, got some donations from friends and four months later I launched Zawadi Preparatory ( www.zawadiprep.tech). We admitted 30 kids at its launch in January 2016. Barely 3 years later, we are at 150 kids. In summer 2018, we built a computer lab at Zawadi Prep. We collected computer donations, bundled it with elementary OS along with open source education software. There is no broadband internet, so we downloaded terabytes of content for our local server including Wikipedia and Stack Overflow. We showed the villagers how to make a Rails app at our free after school program. I cannot think of a better success story than the one of my seven-year-old niece, Michelle. My friend came over to the lab. Michelle asked, "do you want to see our content?" They were like, "sure." She then opened up a computer, navigated to `192.168.0.2` and said, "look, we have all these." I teared up a little bit. I did not teach any of that. 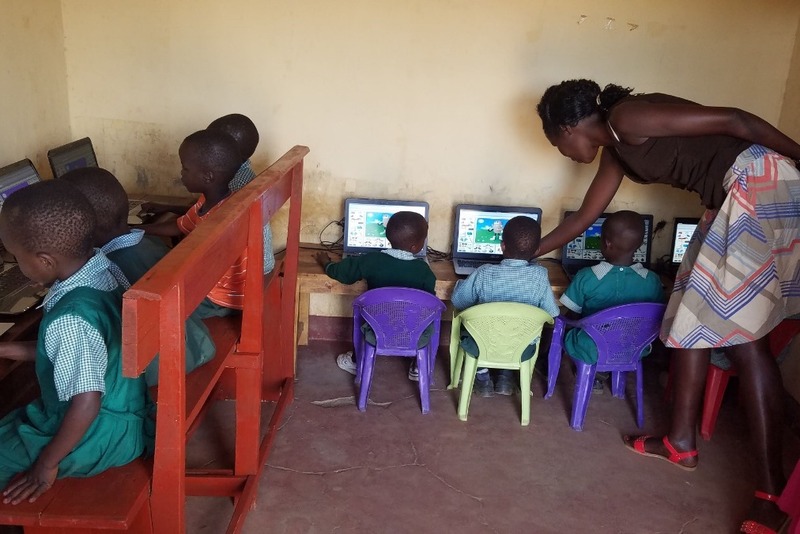 Our goal for 2019 is to build 10 more computer labs in 10 different Kenyan schools. I always wanted to end poverty. To me, teaching digital literacy is the best way I know how. We now have over one hundred donated workstations. To meet our goal, we need a few hundred more.